Snowboarding is an exciting experience. Still, to truly enjoy your snowboarding adventures, you should be careful about your safety. That can be done by carefully selecting your equipment. As far as we’re concerned, the proper equipment, such as the best snowboard binding, could enhance your snowboarding performance all the way. That’s because the binding is responsible for ensuring the power transmission to the board. Still, how do you find the best ones considering that there are so many options on the market? Don’t worry; the goal of this guide is to walk you through some of the best options so that you can select the right product for your needs! 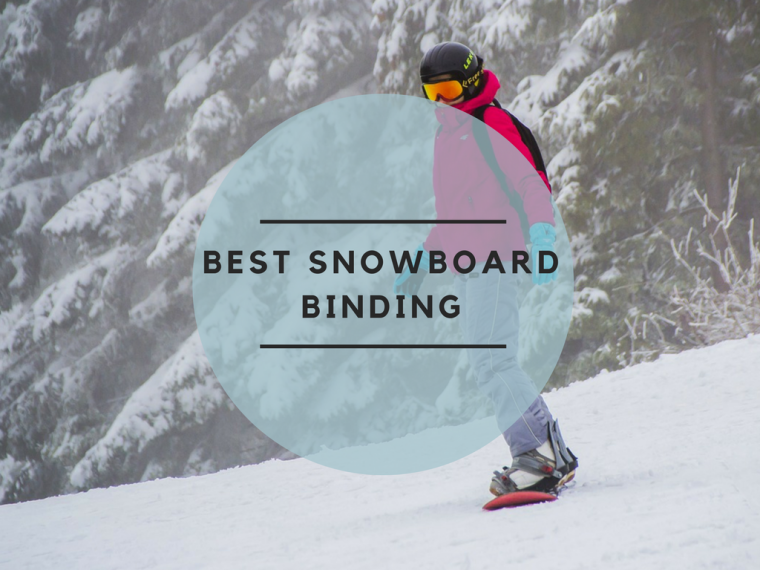 There are two main categories of bindings, namely strap-in bindings and speed-entry bindings. Let’s have a look at the features of each category! We could say that this is the most commonly met type of snowboard bindings. They feature straps to secure the boots in place. This way, they also prevent the high-backs from moving. Typically, strap bindings offer distinct adjustment options, first-rate cushioning and support. The main advantage to having independent straps is that you may alter the pressure of each strap, depending on your preference and riding style. Still, are there any potential drawbacks to this type of bindings? Truth be told, manually buckling and unbuckling the straps could be inconvenient and time-consuming. Especially considering that when you snowboard, you’re wearing gloves, and the weather is anything but favorable. So, we could argue that strap bindings are suited for both firm and soft fitted boots. At first glance, you’ll notice that speed-entry bindings resemble strap bindings, to some extent. Nevertheless, the primary distinction is that the former have reclining high-backs. These high-backs facilitate effortless and practical in-and-out boot access. So, it comes as no surprise that many casual riders prefer these bindings. 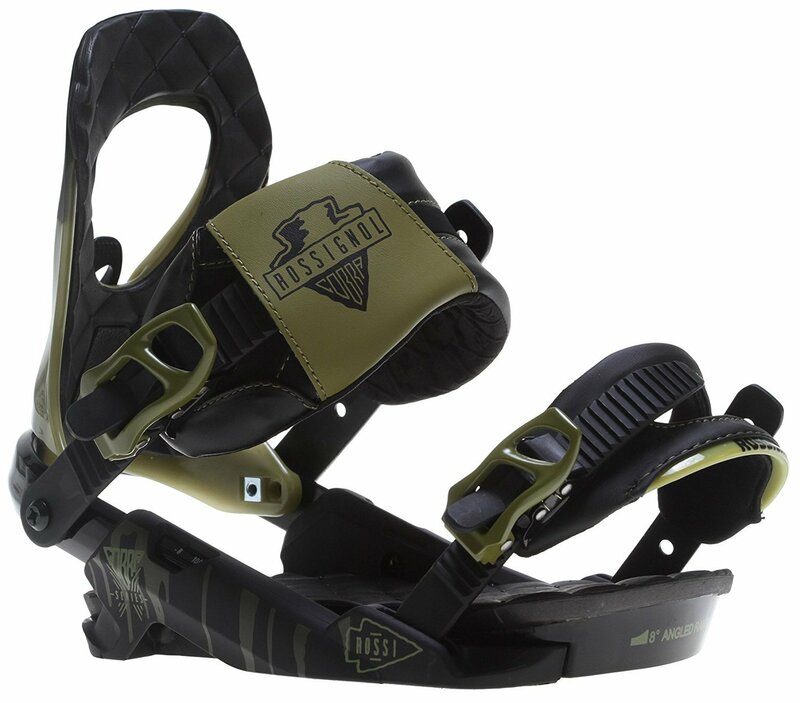 What is more, speed-entry bindings stabilize the feet. They do that by using a yoke system that pressures the forefoot uniformly. The distinction of the speed entry system is that you can unlock the high-back. The good thing is that getting in and out of the speed-entry bindings is effortless. You could easily do that while standing up as well, which is worth noting. Still, if you have to strap in as you sit down, this might be quite difficult. And learning how to set them up initially can be a bit time-consuming. However, bear in mind that these are typically heavier than strap bindings. Therefore, riders that concentrate primarily on performance might feel that they minimize board control. That being said, we would say that speed-entry bindings are targeted for both firm and soft fitted boots, just as strap bindings. The Gnu Mutant Snowboard Binding is a medium-priced item whose performance is well above average. It is made from durable synthetic textiles. Also, it features a wedge design that is efficient and practical. The wedge design on the footplate enables you to accelerate effortlessly – not to mention that it provides you with outstanding control of the snowboard. Worth noting is that you may also get a decent response while cruising down the trails. The straps feature heavy padding. That means they will keep your feet comfortable and safe ‘round the clock. What is more, these are significantly augmented by the ergonomically designed high-back support. The thing that makes this snow binding great is the pressure relief technology. Getting these on is a breeze, without the need to spend a lot of time adjusting them. The binding features an extra lever. Since it opens up the ankle strap, you can get the boots on in a matter of seconds. As for the comfort level of the bindings, it is not too bad. It isn’t over the top, either. However, the big ankle strap isn’t due to lead to any comfort problems if you ask us. Take into account, though, that the bindings feel a bit damp. What is more, many customers couldn’t feel the bottomless shock absorption. We could argue that this is a nice purchase that will allow you to enjoy your ride without breaking the bank. If you’re looking for a comfortable snow binding, this one could do. 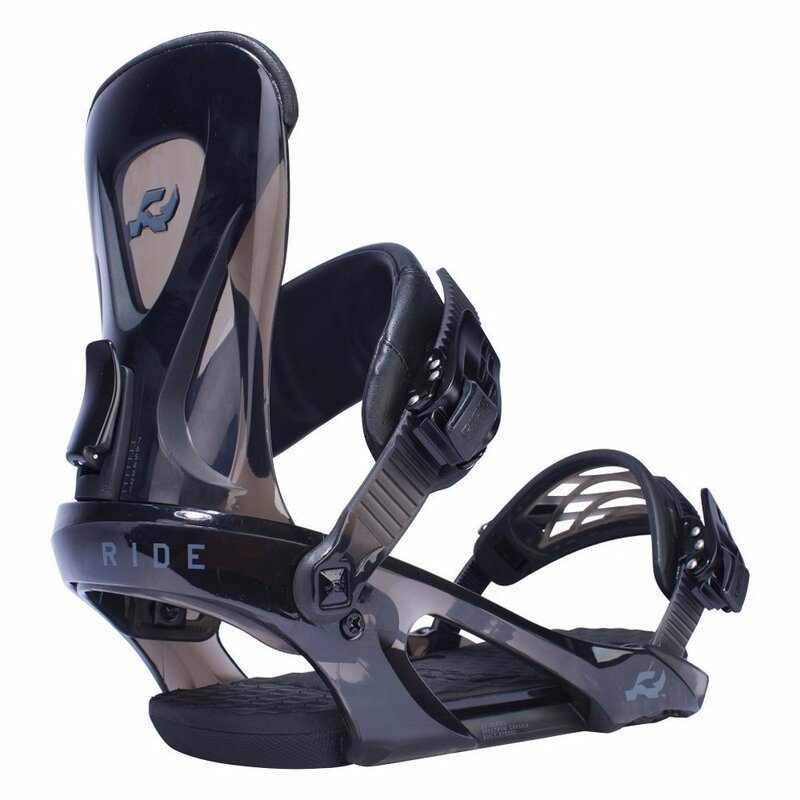 It is an excellent all-mountain binding that offers decent freestyle capability. What we liked most about these bindings is the comfort they provide. The MagneBeds and Triad Pads feature a toe, medial and heel pad. Therefore, each pad has a distinct hardness for a typical function. What does that mean? It means that you may choose the ideal combination of your riding style and preferences. This way, you can enjoy a combination of comfort and performance. We also liked the angled ramps. Rossignol angled the ramps so that the contact surface is significantly expanded, with the boot toward the toe box. Take into account the boot size chart with guidelines for fine adjustment. The 2.5˚ Canted Footbeds tilt naturally. This way, the feet and legs return to the initial alignment, diminishing stress. The dual density padding, the patented magnetic closure system and the adjustable toe ramp are other features that facilitate your comfort. The high-back is made with 76D shore polyurethane, as opposed to traditional nylon. That’s why the snow binding ensures decent elasticity, shock absorption, smooth response and increased performance. According to previous customers, adjusting the binding is easy. Apart from that, the heel-cup adjustability is also simple. However, some people noted that it is difficult to get to since the bolts are located on the inside of the frame. Apart from that, we noted that the high-backs lean a bit too forward. However, we liked the way in which the high-backs felt and performed. So, we feel that if you could live with the forward lean, you would be happy with this snowboard binding. One of the main things we like about the Salomon Snowboards Bindings is the comfort they provide. It’s challenging to enhance your skills when you’re not comfortable, right? So, Salomon has created the Rhythm in order to address this concern. 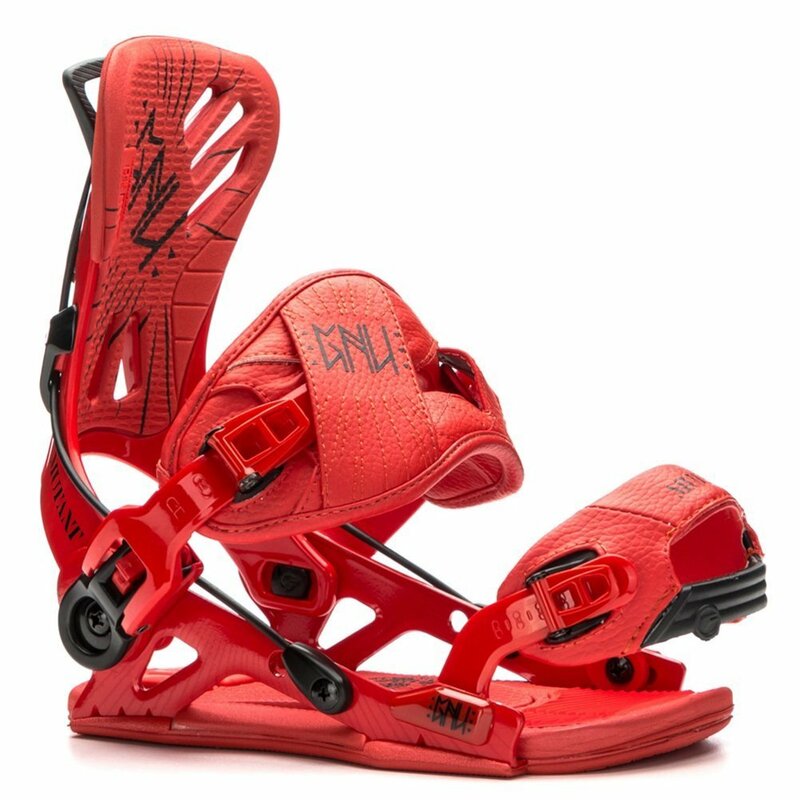 The bindings feature a full EVA baseplate and canted footbed. The snow binding ensures a decent maneuverability at slow speed. Additionally, it is more forgiving. Therefore, we would recommend this to both beginners and intermediate riders. At the same time, as an advanced rider, you could also find this item convenient. That’s especially true if you prefer a loose feel for freestyle riding. The baseplate ranks high in terms of durability. Featuring a 30% composite construction, the snowboard binding is a bit more rigid than plastic. Concurrently, that makes it more durable and comfortable in comparison with aluminum. The conclusion? This item promises to ensure your comfort and maximize your performance. Does it do that? Yes. The full EVA padding is excellent, reducing your fatigue when you’re on your snowboarding adventures. Additionally, the binding is easy on the knees. You won’t feel as if a train has run over you the next day after riding. Moving on to the high-back, its asymmetrical shape is also meant to enhance the support on the outside. In fact, it maintains an ideal anatomical shape, in this way deterring any pressure points. Having said that, we could affirm that this high-back is targeted for smooth rides. Many people declared that it allowed them to work on improving their performance, which is every rider’s goal. On the other hand, the shock absorption and ratchet system aren’t the strengths of this product. If you’re on a budget, yet you still want to get the best snowboard binding for your adventures, this product could be down your alley. At a relatively low cost, you get decent performance and features. The design, the use of durable, long-lasting materials, and the state-of-the-art technology incorporated in the binding – all these will improve your performance. Perhaps you have guessed by now that we like this product. After testing it, we concluded that it does a fantastic job at maintaining us balanced and stable during the ride. That’s due to the surprisingly lightweight Spectrum Chassis System. And that is not all. These bindings minimize the absorbing impact and vibrations. That is accomplished thanks to the Slimwalls technology. Obviously, the use of urethane materials is a wise option. Moving on to the toe strap, it is convertible and lightweight. It features a rubber web with an over-molded design. This has the role of ensuring your comfort and securing the boot grip. As for the ratchets, we found that they were smooth and easy to tighten. Evidently, this is another notable advantage. What is more, the shock absorption is excellent. It features a canted footbed and decent shock absorption in the heel, making it easy on the joints. For the most part, these bindings are worth the purchase for the reasons listed before. However, each product has its bad parts. With that in mind, many customers said that the boot support of these bindings isn’t the best. For instance, when they hit a harder turn, the support was okay, yet it could have been enhanced. Perhaps the manufacturer could do something in this respect. Additionally, the adjustability could be improved. 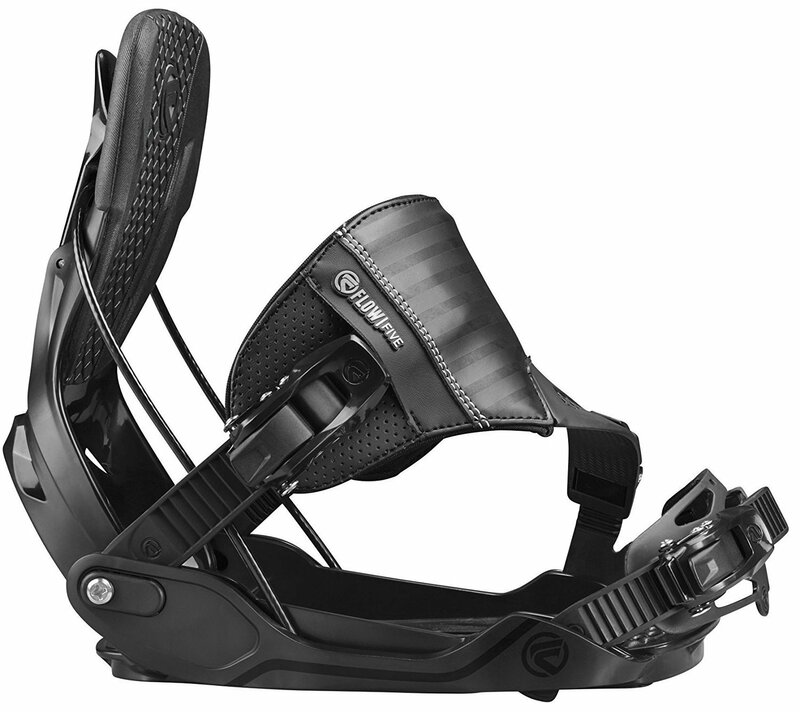 On the whole, the Ride Men's KX bindings are some of the best you can get your hands on. The Flow Five Hybrid Snowboard Binding is a decent acquisition for many reasons. Some of them are that it is simple to use, it features a minimalist, convenient design, and displays the manufacturer’s attention to details. It could be used for all-mountain freestyle snowboarding. The flex is somewhere in between: not too stiff or too soft, which makes it a great purchase if you enjoy riding in different styles. In fact, we appreciated the easy-riding characteristics offered by the medium flex bindings. Comfort, predictability, and adequate response and control are among the main features that we appreciated while testing these bindings. We also like that the item is made to last. Featuring composite baseplate, this item is definitely durable. Apart from that, we can assure you that this binding offers great response and energy transfer. Additionally, the molded composite together with the uni-back hi-back recline easily and fully. This way, getting the bindings on and off is easy. Obviously, the dual-entry system makes the item simple to use and convenient. You’ll notice that the strap moves off the boot immediately when it exits. Apart from that, it tightens easily when you kick the hi-back up. The baseplate is engineered to transmit energy to the board, without minimizing its efficiency in any way. Moreover, due to the minimal contact area against the board, all the power is directed to the edges. Evidently, the rockered corners of the baseplate facilitate an even flex, which is another advantage. If you’re asking what skill level you should have for using these bindings, you should know that they are targeted for beginner and intermediate levels. Also, regarding the warranty offered by the manufacturer, it is of one year only. Now let’s move on to our least favorite part of the item. Some people have noticed that in comparison to other products manufactured by the same firm, the hybrid strap takes a tad longer to adjust. At the same time, the ratchet system is a bit annoying. The toe straps happen to come undone when you least expect them to, which is anything but convenient. Now, we’ll move on to a frequently met question: what manufacturer produces the best snowboard binding? Should you take this into consideration or not? Yes, you should. That’s why we would like to introduce you to a range of top brands in the domain. Flow is a renowned producer of high-quality snowboard bindings. The firm’s experience goes as back as 1996. That equals an expertise of over two decades. Evidently, their primary goal is to assist riders in accomplishing the ultimate state of performance on all types of snowboarding terrains. The best part is that the company creates items that are meant to meet the specific requirements of various categories of riders. That is what we call a top manufacturer: one that combines versatility with high-quality. Next on the list is Ride. To be frank, it is challenging to beat the quality offered by this manufacturer. Their bindings are definitely some of the best on the market. For starters, this firm has been in the business for a while now. Apart from that, they succeeded to stay ahead of the curve in terms of research, testing, and development. They have over two dozens of distinct models of snowboard bindings you may choose from. One of their best products is the one reviewed above – we were definitely pleased with its performance. However, there are other options worth considering if you want. Your skill level is a crucial consideration in this respect. Salomon does an excellent job at manufacturing snowboard bindings, as well. The company directs a lot of energy, thought and consideration in the production of each item. Evidently, that’s what helped it stay at the very top. 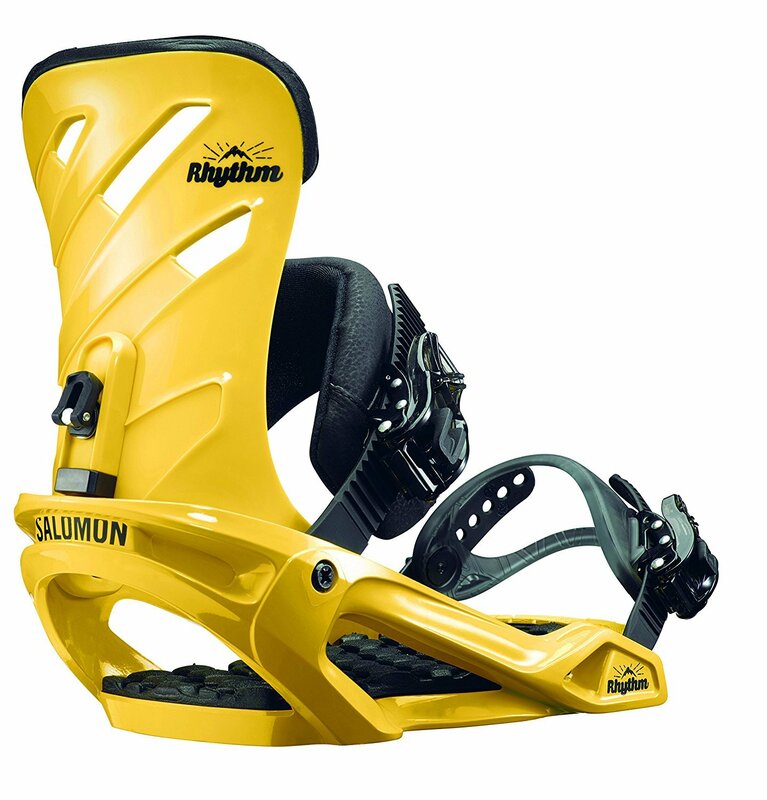 Many customers are more than pleased with their Salomon snowboard bindings – we included. Making a rushed purchase when it comes to getting the best snowboard binding is not the way to go. As a snowboarder, you have different needs and specifications. So, here’s what shouldn’t miss your attention. Evidently, there are no fast and hard rules regarding the topic, and each rider will have other preferences outside the ones outlined below. Truth be told, each style of riding necessitates a type of binding. For example, some snowboarders require flexibility, while others are looking for stability to enhance their balance. In general, bindings with short, flexible high-backs are better fitted for freestylers and beginners. That ensures a soft, more forgiving ride and recovery in the case of landing jumps and tricks. If you’re a free-rider or an advanced snowboarder, you might prefer bindings with tall, stiff high-backs. These maximize your control at high speeds, on steep and powder terrain alike. ​Freestyle: This category is all about jumps and tricks, and experiencing all types of challenging terrains. Freestyle bindings facilitate excellent maneuverability and soft flex for outstanding turning ease. Also, they give you more room for errors, making them easy to land on. ​All-Mountain: Fit for any type of terrains, such as powder, groomed runs, pipe, and park. The flex levels of the binding depend primarily on the terrain and your skill level. This is a matter of personal preference, as some riders prefer medium flex, while others would rather go for stiff flex. ​Powder: In order to facilitate greater control, the bindings are stiffer. ​Free-ride and Split-board: Recommended for unmarked side-country and backcountry terrain. Similar to powder bindings, these should be stiffer, as well, for enhanced maneuverability. Just as you’d expect with any important purchase, the fit of the bindings is very important. The good news is that most bindings can be personalized depending on the boot you’re wearing. Even so, we advise you to ensure that the snowboard binding matches the size of the boot and board. For instance, women’s boards and boots have distinct sizing. Therefore, you should select a binding that is targeted for women. The same applies to men’s bindings. As a general rule, a compatible binding should grip securely to the boot. However, it shouldn’t force the boot in any way, by pinching it in place. Additionally, carry in mind that bindings should allow you to move freely, without any wobbling or shifting. When tightened, they shouldn’t dangle excessively either. With that in mind, a properly fit binding should enable the boot to flex, yet it shouldn’t sway. In other words, if you have a pair of comfy boots, and the bindings stay attached to the boots without additional play, it means you have an excellent match. The flex of the binding is determined by the material. Naturally, distinct combinations of aluminum, plastic, and composites are used in manufacturing a binding. While this is a matter of personal preference, there’s a general rule to respect. Namely, soft bindings are fit for beginners, since they are easier to ride. In this case, anything from 1/10 to 4/10 could work decently. On the other hand, stiff bindings provide a better response. That makes them suitable for advanced freestyles and free-riders who are looking for top-of-the-line precision at high speeds. Anything ranging from a 4/10 to 6/10 could be a decent option in this situation. Don’t get us wrong; you could definitely go even stiffer than this. However, we prefer to have some flexibility to play around. It’s entirely up to you. However, you should first determine what you intend on doing with the best snowboard binding you get. Shock absorption is a crucial consideration, especially for freestyle bindings. Let’s say that you’ll be doing tricks and jumps all day. Therefore, the binding you select should do a decent job at absorbing the shock. If you plan on getting better at your snowboarding tricks, this is an aspect to consider. Your body will thank you afterward! Choosing the best snowboard binding for your needs can be a tricky process. Nevertheless, once you know with the main aspects that have to be considered, and what makes the best product, everything is easier. As for the apparent winner of our review section, we gladly announce the Flow Five Hybrid Snowboard Binding as being the top choice, followed closely by the Ride Mens KX Snowboard Bindings, and the other three options. What makes the Flow Five Hybrid Snowboard Binding a fantastic choice is the fact that it will enhance your performance. The snaps remain closely and comfortably around the feet, without causing any pain, whatsoever. That’s translated into excellent control and maneuverability. And, of course, Flow is a top manufacturer in the realm of snowboarding equipment, which gives buyers some peace of mind. Still, even if you choose another one of the recommended items on our list, you couldn’t go wrong. We can assure you that these products are durable, high-quality, and will become your trusty companions on your snowboarding adventures! Moreover, when snowboarding, the first thing on your mind should be your safety; therefore, you should do your best at choosing a reliable piece of equipment. If you have other questions about the best snowboard binding or thoughts you’d like to share with us, don’t be shy: use the comment section below to do that. We’re more than happy to know what you think! Happy snowboarding!